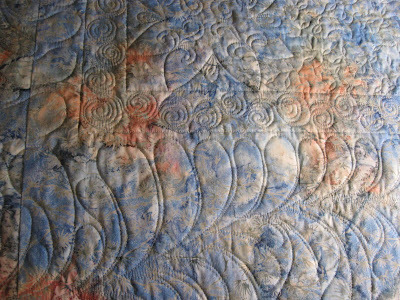 I thought I'd put some color out on the blog site today. 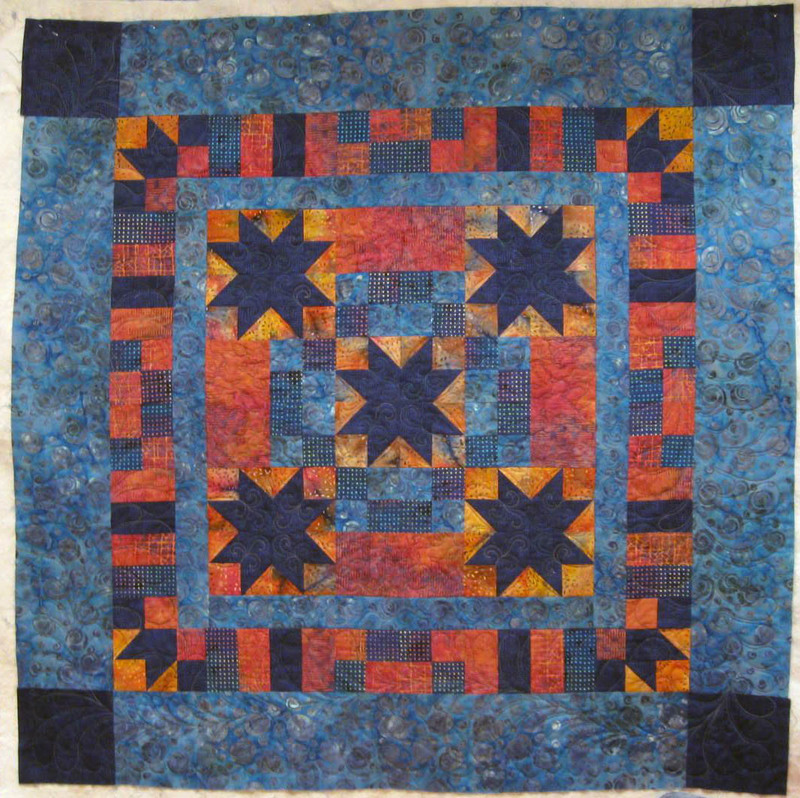 Here is a quilt I recently quilted for a customer. 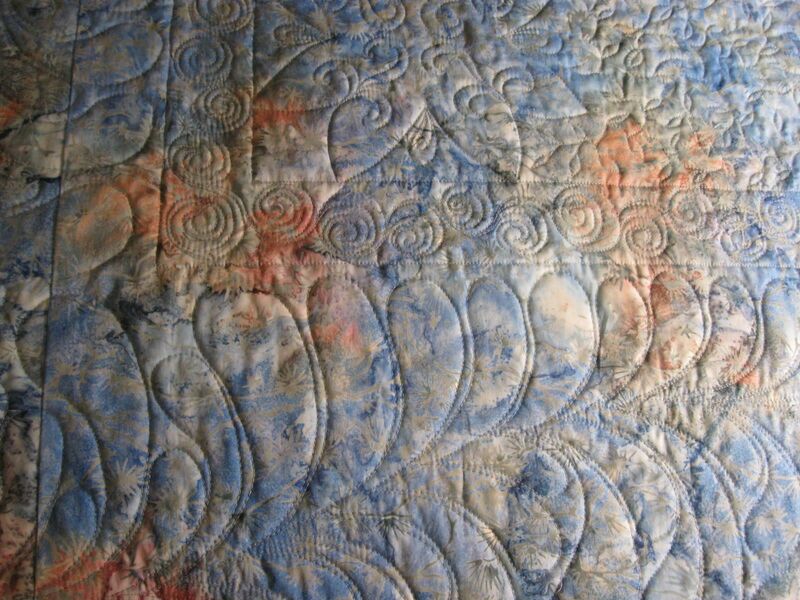 The fabrics are all batiks and I'm having a love affair with the turquoise and burnt red-orange complimentary color scheme. 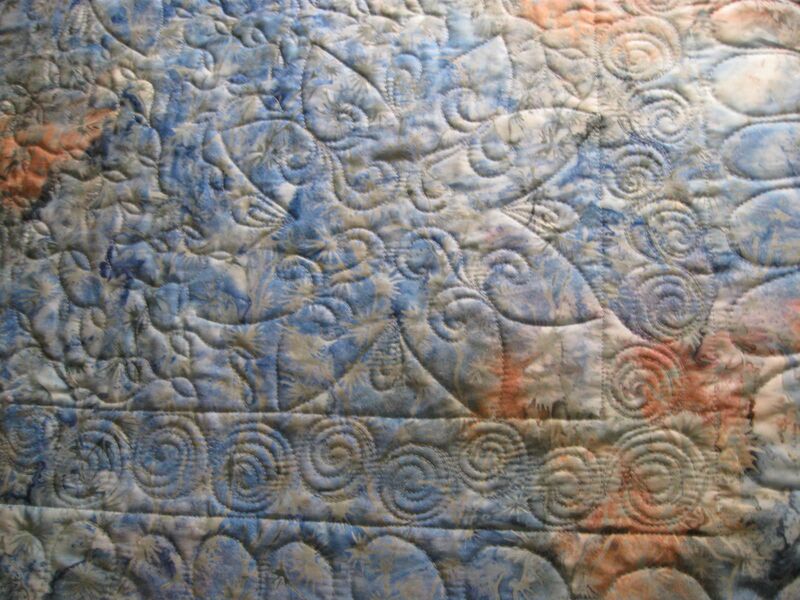 The top thread is a 50/3 cotton variegated by Valdani called DeepWaters with a 50/2 steel blue cotton by Aurifil in the bobbin. Finished size: 48" x 48" [4 bobbins]. See more free-motion photos here on my FB page. 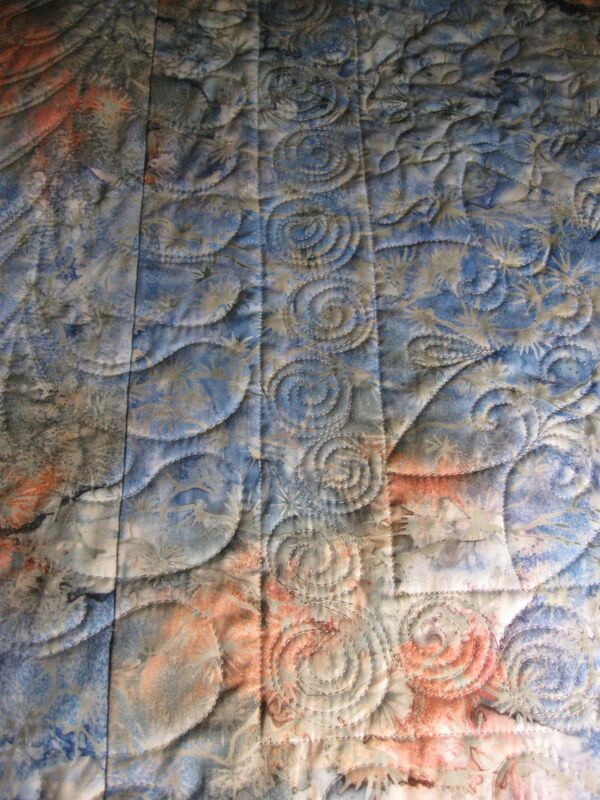 Back of quilt. 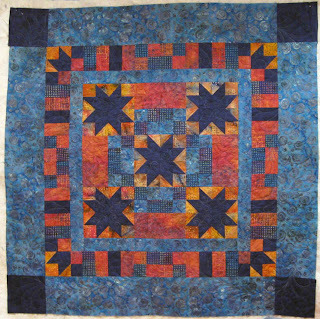 Free-motion quilting on the star. 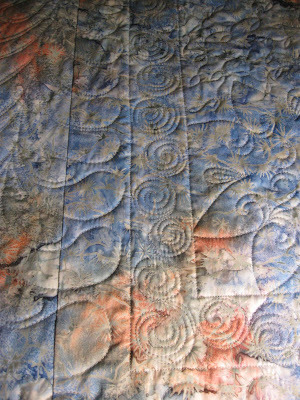 Free-motion swirls on inner border. 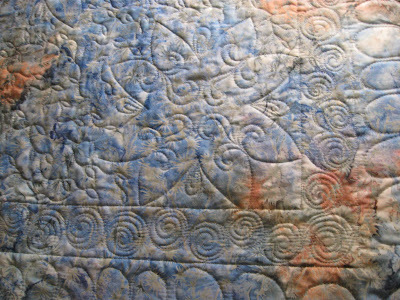 Free-motion freeform feathers around the outer border.